Those who know me know that I can’t sit still and spend most of my holidays busy doing…well…something. 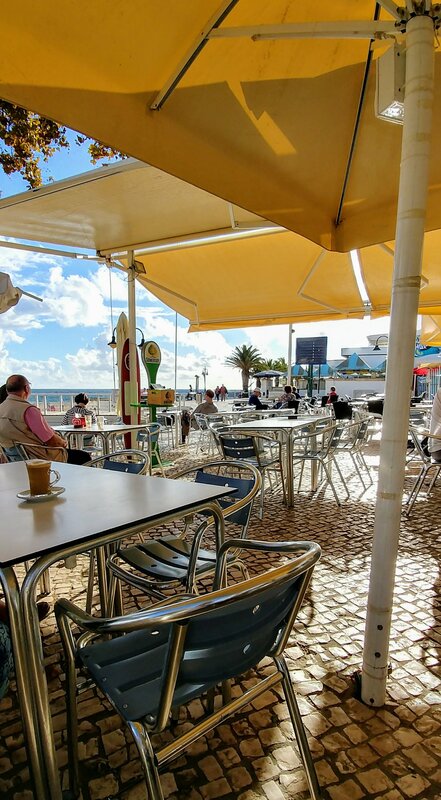 It isn’t surprising then that when a cycling companion I met in Sri Lanka told me of a tennis holiday he’d been on in Portugal, I was intrigued. 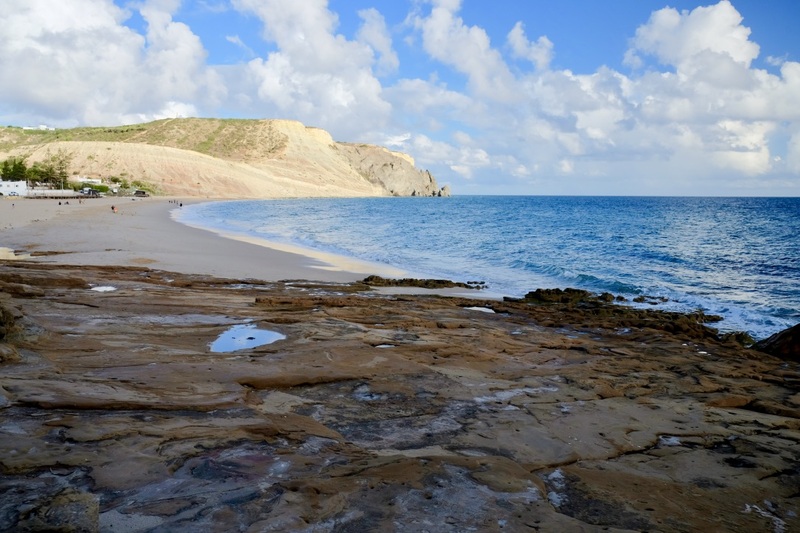 Another opportunity for an active vacation presented itself. I had learned the rules of tennis as a child, in response to my mother’s vain attempt to encourage me to take up the sport, seemingly only because she had been made to play it at boarding school. Determined to control my own destiny at an early age, I refused because my mother had prematurely made up her mind that I should like it. Years later, I found myself occasionally batting the ball around after class at university with a roommate who was keen. That was the extent of my tennis career, until now. At an age when most people are retiring their racquets as a result of “bad knees” I have decided to be a tennis player. I signed up for tennis camp. 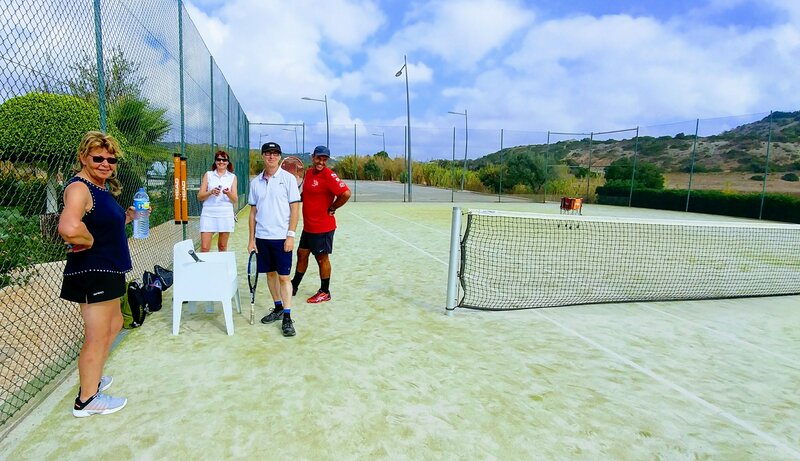 As dark and gloomy November approached in Canada, learning tennis at Praia de Luz in the Algarve region of Portugal was appealing. Sunny mornings on the court with 3 hours of instruction each day to perfect my game and afternoons on the beach and in the sea. I was stoked. 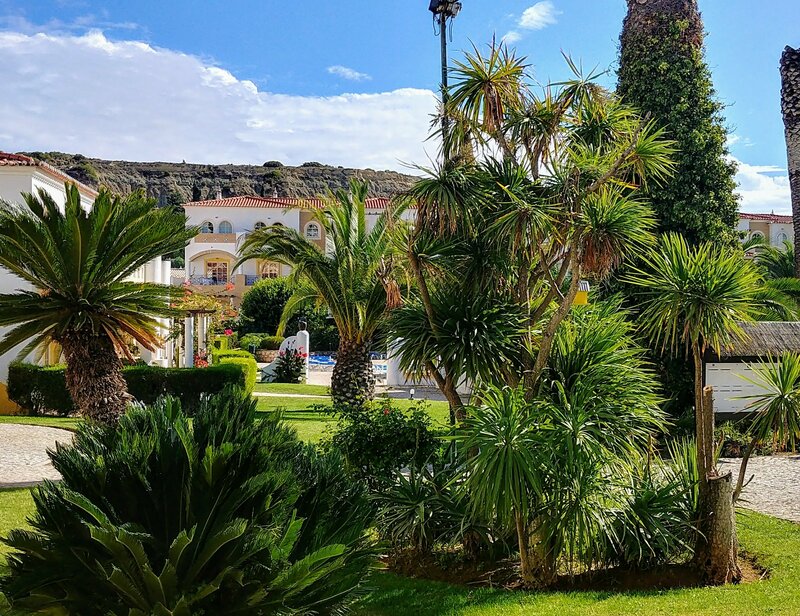 In order to attach it onto a cycling holiday in Portugal which I had also booked, I had to join the intermediate-level group. I was sure I’d qualify. After all, I knew the rules thanks to my mother, I had rallied with friends occasionally and intermediate can mean anything I told myself. Nevertheless, in preparation I joined a drill-until-you-drop program on the public courts at home for a few weeks this past summer. I arrived a day early but instead of wisely practising my strokes against the backboard at the courts, I spent the day sleeping on the beach. I had looked at the courts – synthetic turf with sand, not a surface I had ever encountered and certainly a step up from the cracked concrete public courts I play on at home. A suspicion niggled at the back of my mind that the term intermediate may have a slightly higher standard associated with it in this international setting and that it likely attracted club players. Sleeping on the beach, which is not my usual way of spending a day, seemed a convenient cop-out. While sitting in the bar on that first evening, I pondered the potential situation into which I had stepped when two tennisy-looking men, Phil and Derek, approached. They asked if I was here for tennis and invited me to join them for dinner. They explained that this was their third tennis camp and spoke of others they knew who would be arriving soon who were also repeat tennis campers. They discussed their clubs back home and it didn’t escape me that Derek began sentences, more than once, with the phrase “in my days playing as a Junior”. My niggling doubt was turning into mild panic. They questioned me on my tennis history. I kept it vague….”oh, just getting back into it, many years not playing, raising kids, busy job…..feel now like I am starting from scratch”. “Aah” is all they said, in a way that wasn’t particularly comforting. “Don’t worry” they finally managed “It’s meant to be a tennis holiday, not competitive at all, we’re all here to learn”. I wasn’t convinced it was sincere but I chose to believe it. There were 17 of us, most were club players, many lamented that they hadn’t played tennis in a week and so would be very rusty. If they were rusty, I was corroded beyond repair. I groaned. On the first day we were asked to step up and hit balls so that we could be assessed. When the groups were formed, I was relieved to find I was in the lowest level group. There would be fewer expectations this way, I hoped. Good, but I still had to overcome my habit of inflicting high expectations on myself in most of what I do and then becoming completely frustrated if I don’t meet them. I needed to relax and enjoy the lessons. There were four excellent coaches and the groups rotated between them. On the first day we had Benoit a young, good-looking Frenchman who taught tennis for part of the year and drove his van around Europe chasing the perfect surfing wave for the rest of it. He was gentle and encouraging in his coaching manner and I began to calm down. In the afternoon, however, when the lessons were finished, many returned to the courts to play games with each other. I feared this might be standard protocol and so dutifully appeared at the court at the assigned time that first afternoon. Matches were already underway and I was placed on the court to face Phil. He gave me a wry smile and seemed truly satisfied as he drove his fastest, hardest serve at me. He later stood at the net (all 6 ft 3 inches of him) and smashed the ball into my feet with a smug little grin. I noted that he hadn’t been playing quite this aggressively with the others. It’s a tennis holiday I kept reminding myself. 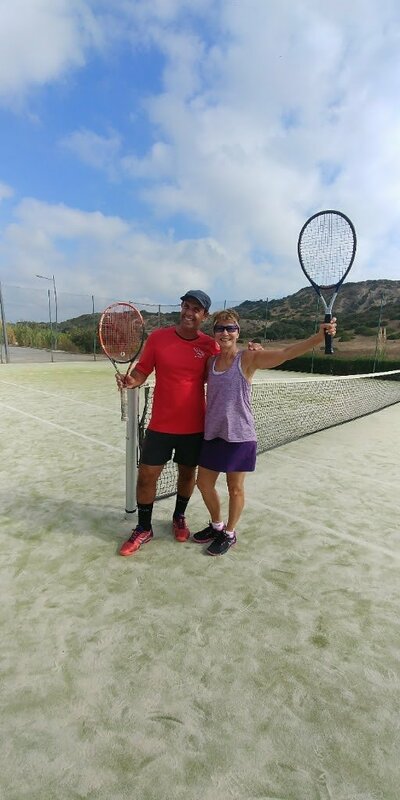 I adapted quickly, making up for my poor tennis strokes by running as fast as I could for each shot regardless of how impossible it was to reach. Although very tall and having an extraordinary reach, Phil didn’t move much. My returns were weak but if played strategically I found I could gain the odd point. (Being able to out-sprint most of them to the ball helped me immensely over the rest of the week). After losing the first set very badly, Derek (the previous up and coming Junior) became my partner. We began to win a few games and Phil’s smug smile disappeared. The few and far between “good shot” comments that he choked out reluctantly, ended. He was becoming annoyed. I decided, on this first day, that afternoon tennis round-robins were not nearly as appealing as the sea. I settled into expecting little of myself and soaking up the morning tennis instruction, which became more rigorous with each coach as they corrected style and positioning and gave us fast drills. I began to love it. Sue, in my group, said “Oh bad luck” with each error I made, as if it was simply a matter of luck not skill. I knew better but it still felt good. 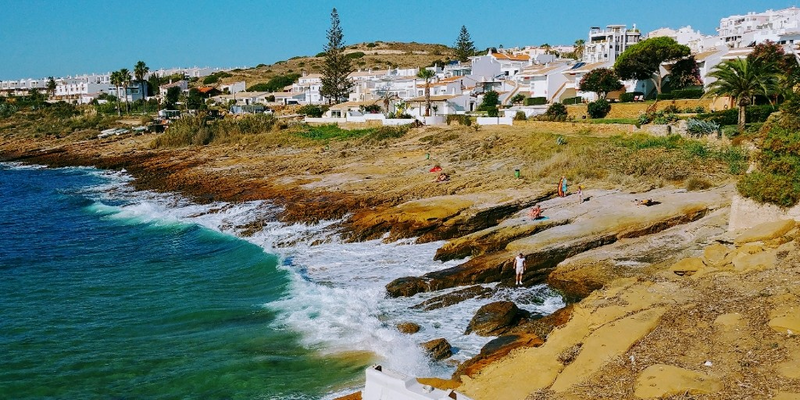 In the afternoons, I went to the beach, sat in cafés, wandered the coast and took the bus to Lagos, leaving Phil to drill tennis balls into someone else. 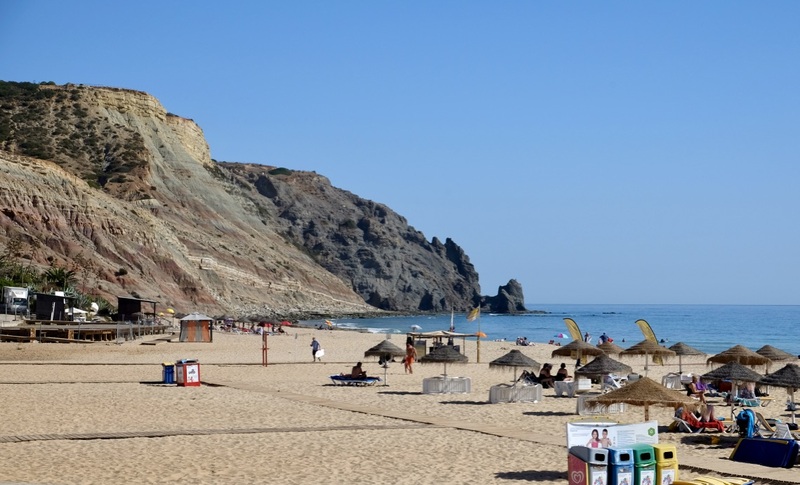 Praia de Luz is full of expats and the many restaurants and bars were full every evening. Over wonderful evening meals, I got to know the rest of the players. Most were very good but were truly there for the holiday and they made me feel welcome. It reaffirmed what I have known all along: pushing yourself slightly beyond your comfort zone can be a good thing and can help you improve, and I had, a bit. What better reason to continue than that? Ha – seems I may have to pick up my game a bit to stay ahead of you! – just have to get my arm/shoulder back in shape. How were the synthetic/sand courts?